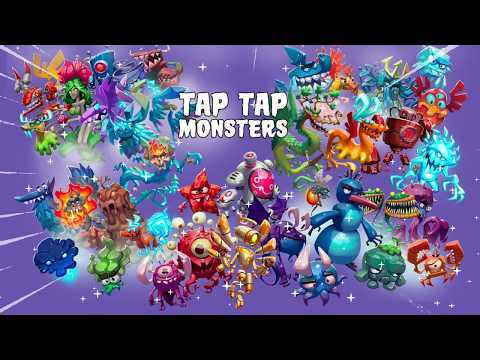 In Tap Tap Monsters you can be the engine of evolution for fantastic monsters. By combining two identical monsters, you get a new, more advanced creature, thus passing the path from the simplest magic and astral creatures to magnificent giant dragons.Before you is the opportunity to choose the evolu... see more In Tap Tap Monsters you can be the engine of evolution for fantastic monsters. By combining two identical monsters, you get a new, more advanced creature, thus passing the path from the simplest magic and astral creatures to magnificent giant dragons. Before you is the opportunity to choose the evolutionary path: fire or water, nature or chaos - everything is in your hands. A completely populated world is not the end, because in the game you can discover many new worlds, populate them with monsters and test out other means of evolution! A robot biome, where there&apos;s no place for the living! iBot, Roboboy, Smarty and a host of other cyborgs live here!